THERE are countless single mums out there doing it tough, working hard to make sure their kids don't feel like they're missing out. When school notes come home about events where dad is expected to attend it can sting, knowing their children may be hurting. 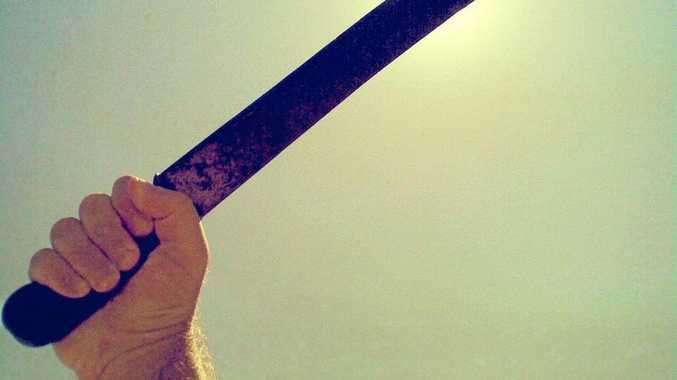 In the lead up to Father's Day I've read several posts from single mothers who are worried about how their kids will cope seeing their friends' fathers at school, when their dad is certain to be a no show. Some mamas have mentioned trying to shield their kids from what they feel is unnecessary angst, by possibly keeping the kids home from school. Others accept their kiddos will have to deal with the their lot at some point. 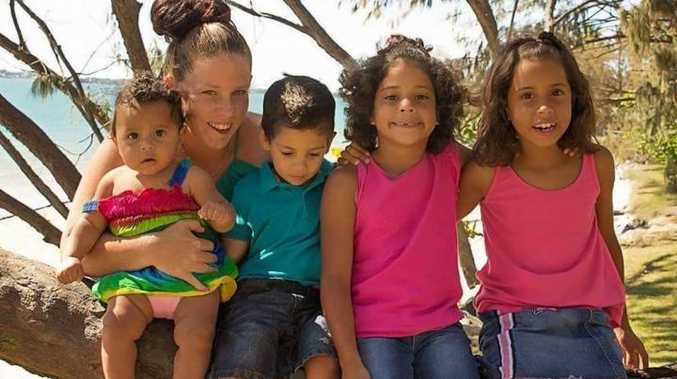 Plucky Queensland mum-of-four Shan Collins decided to take a different approach. 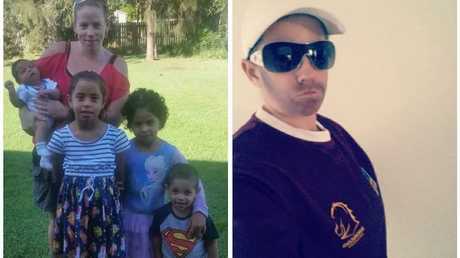 She dressed up as a man, pretending to be her kids' 'dad', and rocked up to their school's Father's Day morning tea and concert. Downplaying her costume as last minute Shan cut a handsome figure with a cap and a three day growth. "I didn't want my kids to feel left out. It's not their fault that their dad isn't around, so I didn't want them to miss out on celebrating because of that," she told Kidspot. Shan has three girls and one boy, aged one, three, seven and eight-years-of age. She says they always get a little upset around this time of the year, because their dad has chosen not to be involved in their lives. So how did Shan's children react? Well, let's just say her fear that they'd be sad on the day was firmly eclipsed by joy when they saw her. "They thought it was hilarious. They couldn't stop laughing. I guess them being at a good age of seven & eight, they weren't embarrassed or confused." Shan said that instead of being a day that the children would dread, and have bad memories about, it became a day they'll be able to have a laugh about. It will also be a day many members of her school community will remember with a chuckle. "I think some didn't even notice, but others laughed it off also with some silly dad jokes." Speaking exclusively to Kidspot the 28-year-old said she has been parenting solo for the past 18 months. She made her decision to rock up in drag because there were no male family members able to attend the Father's Day events. "My father has passed away and we live 500 kilometres from all relatives." There has been some debate about changing Father's and Mother's Day into the more inclusive special person's day, to cater to children being cared for in all kinds of family situations. Despite her clever caper Shan doesn't agree with this concept. "Some kids don't have Mothers or Grandparents to celebrate with. It's how you teach your kids to deal with situations. Give them a positive spin on it and they will appreciate it in their own way. "I know I can never be their dad, nor replace him in any way... But if I an make my kids happy in anyway shape or form, I will do whatever it takes! !💙" she wrote. Despite the roaring success of her plan the brave mum insists it won't be something she does every Father's Day. "I guess it was just a once off," she said.